Nettie Kent, outside her summer studio in the woods of West Tisbury. 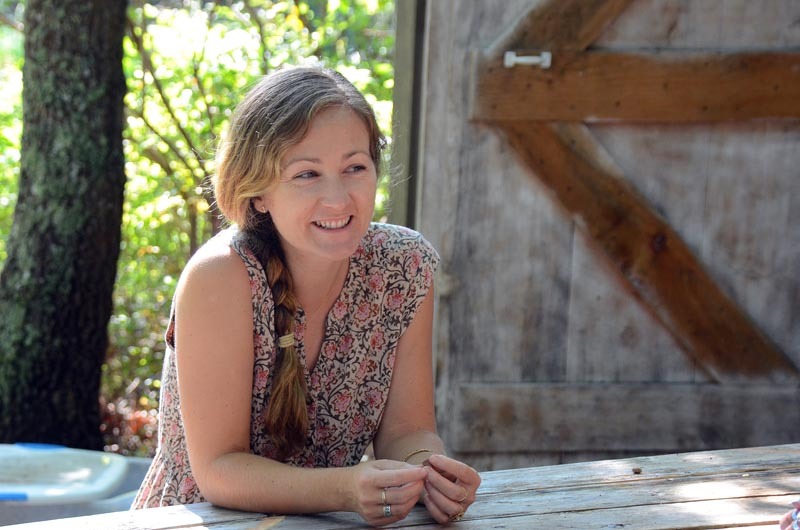 Recently, on a hot morning in the woods of West Tisbury, Nettie Kent emerged from her studio. On her fingers were an assortment of rings, including an antique engagement ring from her fiance Colin. But one ring she held in the palm of her hand. It was made in the shape of an arrowhead and was the first piece she designed herself. Ms. Kent is one of a handful of emerging designers who grew up on the Vineyard and for whom the Island remains both an inspiration and a backbone for their designs. She took introductory classes at the 92nd Street Y. “This is how you hold a jewelry saw, this is how you solder.” Her inexperience was actually an asset, she felt. “I was so ignorant, I had no insecurity because I didn’t know what I was doing,” she said, laughing. She moved back to the Vineyard for two years to focus on her work, landscaping by day and working at night in a makeshift studio. Eventually, people started to take notice and Nettie Kent Jewelry began to take shape. She slowly quit all of her part-time jobs, “the scariest thing” she ever did. “I wrote this pros and cons list in my notebook, I still have it,” Ms. Kent said. By June 2011, her jewelry business was her sole source of income. These days her work appears at Urban Outfitters, Yoox.com, CB Stark, the Green Room and a host of small boutiques in New York. Ms. Kent works primarily in brass. 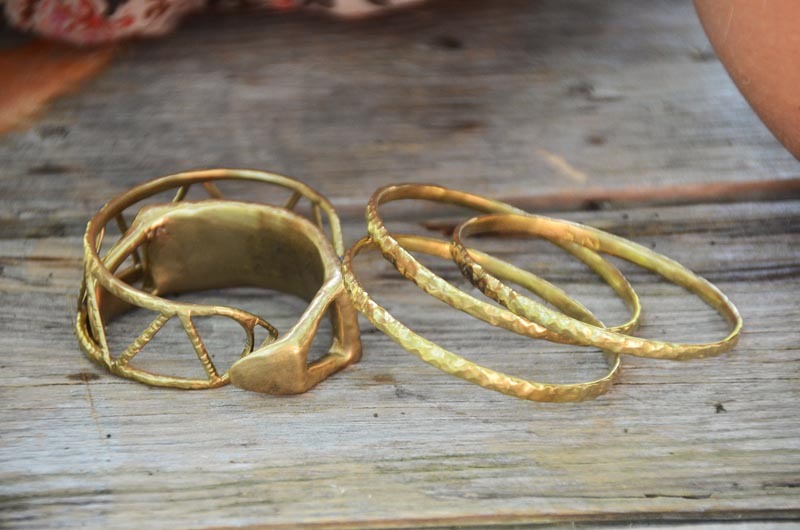 Depending on the fluctuating costs of metal, she also works with gold. Her designs are rough and textured, delicate but organic. She also keeps an eye on the price. To create her jewelry, Ms. Kent first uses a hard wax to carve out the shape, using a file to shape it. She then brings the wax to a professional metal caster, often polishing and refining the metal until it finally becomes what she imagined. 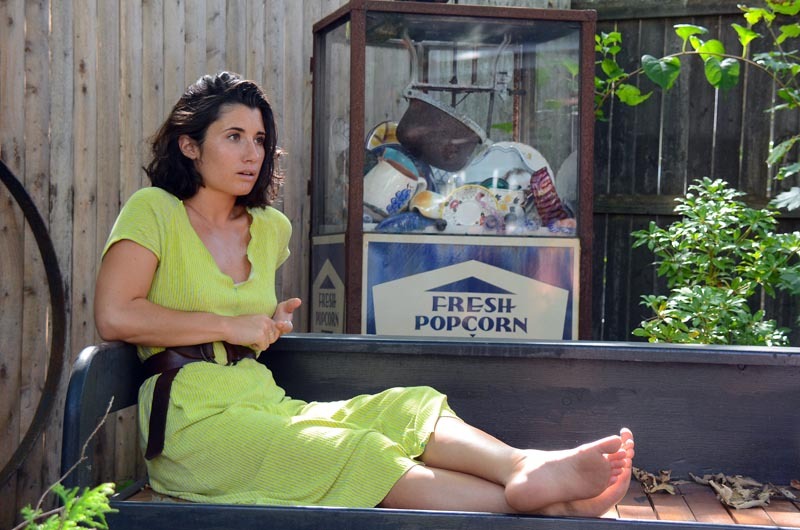 She shares a studio in Greenpoint, Brooklyn, with her fiance, fellow Islander and painter Colin Ruel. But on the Island, it’s a bare bones cottage next to her garden. This summer she was busy preparing for her next collection to be shown at the fall fashion markets. She’s added color — turquoise, black onyx, lapis, too. Hannah Guerin moved to New York city eight years ago to attend Parsons School of Design where she studied design and management. After graduation, Ms. Guerin began working full time at various jobs but was looking for something to call her own. 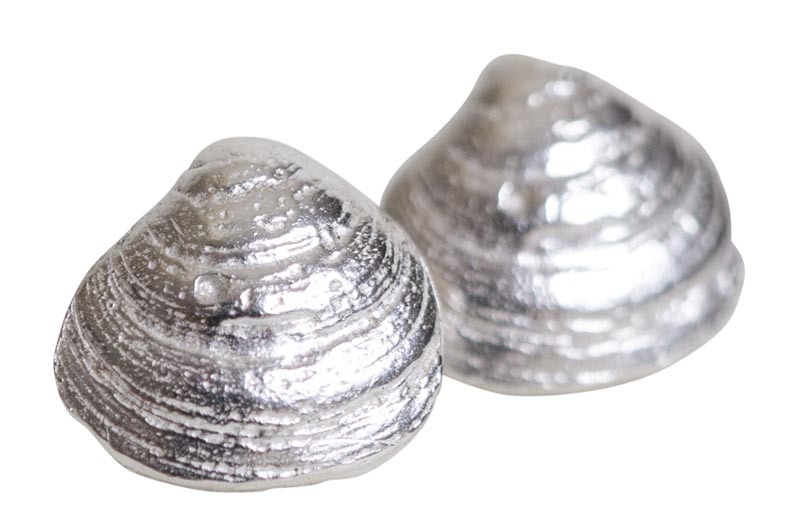 Hannah Guerin's clam shell stud earrings. She took a class at the Third Ward in Brooklyn, where she learned about the waxing and casting processes of jewelry making. Her first piece was a driftwood-style ring made out of bronze. Soon she began working on her own line of jewelry, including barnacle earrings and rings, mussel shell earrings and a skunk jaw necklace. Her work is sold at the Studio Shop in Oak Bluffs and on her website. “It’s still a side gig for now, but definitely full time in my mind,” she said. By day she’s a digital coordinator at Tiffany’s. “I’m definitely trying to get more of a presence, especially across the country and not in one locale,” she said. “I’m trying to get my aesthetic and public-facing material ready and have a place where I want to be represented for a long time. That’s my next big push. “The culture of the Island, walking around and being curious by nature and loving your environment, those kind of stable things serve my brand and what I represent,” she added. Her favorite piece these days is a fishhook necklace. “When I first make a piece I’m so attached to it, too, I wear it every single day,” she said. She’s also rather fond of her shark teeth earrings. When she was younger, accessory and clothing designer Jesse James did a lot of surfing on the Vineyard. “I have a really strong inspiration from the beach lifestyle and maybe that’s where some of the sporty, practical stuff comes in,” she said. “I’m working on a clear vinyl waterproof clutch that I have in my head as holding my bathing suit and some surf wax. 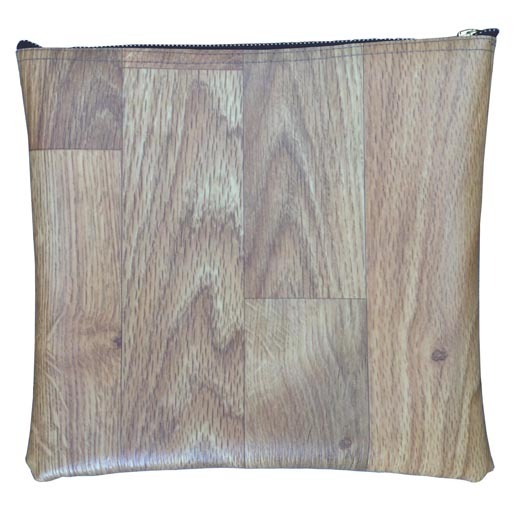 Jesse James's bois bag is made from recycled linoleum wood flooring. Ms. James moved to New York city three and a half years ago after graduating from the University of Vermont with a degree in studio art. She learned from the ground up, doing internships at small clothing companies where the work was crafted in house. She went on to work with fellow Islander Max Decker at a denim company where she learned how to make simple bags and became intrigued by the design process. “I began exploring the fashion district in New York and finding a lot of inspiration, and looking at how many different crazy fabrics and embellishments and zippers there were, and I started making them a lot.” Bandit by Jesse James is available at several stores in Brooklyn, on the Island and online. These days Ms. James is also moving towards designing more durable goods. For example, her bois bag is made of recycled linoleum wood flooring. For Randi Sylvia and her mom Marlene DiStefano, comfort and style are key to their designs. It all began four years ago when they heard about Martha’s Vineyard Fashion Week. Ms. Sylvia is a graduate of Parsons School of Design and has been designing clothes her entire life. Ms. DiStefano, an expert seamstress, has been making them. “I heard about this fashion show thing and I said, Rands, you should get involved,” Ms. DiStefano said sitting next to her daughter outside their shop in Oak Bluffs. Together, the two designed and created 12 pieces for their first show. “Which was so hard,” Ms. Sylvia said, laughing. The two are now preparing for their fourth fashion show. Ms. Sylvia went to work for Mikel Hunter at Piknik, who was looking for someone to take over his space on Dukes County avenue in Oak Bluffs. In December, the pair opened their own boutique, Studio Shop, to showcase Ms. Sylvia’s designs under her label Kenworthy, and to provide a space for Ms. DiStefano’s floral business. “It gave us more reason to travel to look for things for the store, which was fun,” Ms. DiStefano said. The two went to Turkey last year to find fabrics and embroidery, returning with plenty of materials to inspire their 2014 summer collection. 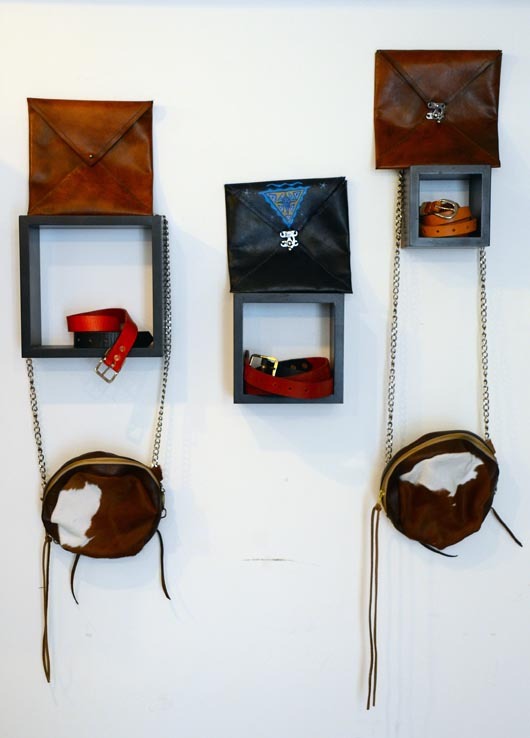 Ms. Sylvia also creates original leather bags and belts. While in New York, Ms. Sylvia interned with a leather designer under the Urban Zen line of Donna Karan. But clothing takes center stage at Studio Shop. This summer featured soft dresses, striped linen pants and “killer capes.” The capes, nearly floor length and flowy, were sold exclusively at Mr. Hunter’s store in Edgartown. They sold out in five days. “We were so excited,” Ms. Sylvia said. “The search for the perfect fabric is not the easiest on Martha’s Vineyard,” Ms. Sylvia added. These days Ms. Sylvia’s favorite piece is a floor-length, hooded, sheer dress with slits on either side. With two weeks to go until Vineyard fashion week, the inspiration board in their sewing room is plastered with ideas. Fall is around the corner, but Ms. Sylvia is already eyeing summer 2015. For more information on the featured designers, visit nettiekent.com, hannahguerin.com, banditbyjessejames.com and kenworthydesign.com.